Salzburg Research can look back on a successful year in 2018. 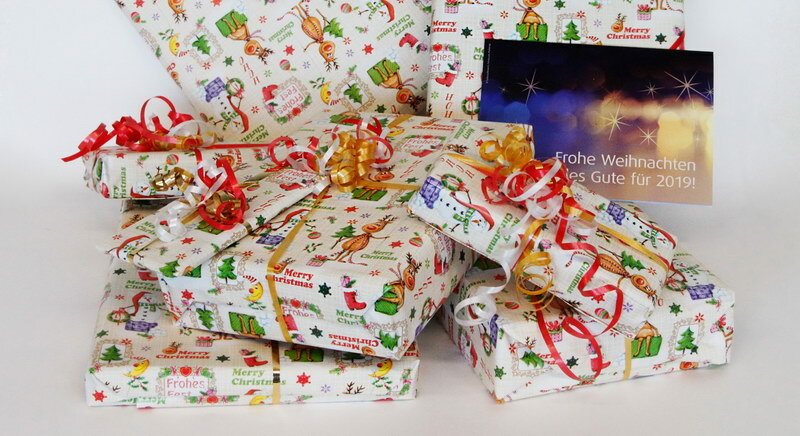 For Christmas we support this year the Anna-Bertha-Königsegg School in Salzburg with different communication tools. We started the Austrian leading project “Digibus Austria” and test the autonomous minibus on test tracks in Salzburg and Lower Austria. With the Digital Transfer Center (DTZ), Salzburg-based companies offer vendor-independent experts as contact persons for digitization issues. With “Digital Motion” we also started a COMET research project with numerous partners. Goal: Greater joy in movement through the Internet of Things. The European research project DOIT started its pilot activities in autumn, which will examine how children and young people in makerspaces develop social innovations and entrepreneurial skills. Salzburg Research is the contact for digitization. With pre-competitive research and technology development, we are available as a solution partner for companies and institutions and thus contribute to their competitiveness. Digitalization is profitable not only for companies and (industrial) companies. Also in 2018, we will donate around 1,400 euros worth of digital aids to the Anna-Bertha-Königsegg School for Children with Special Needs, Center for Inclusive and Special Education in Salzburg. This opens up new learning opportunities for children with special needs: tablets and learning apps for special education, special hardware for physically handicapped children or “talking pens” for language learning. Under the wrapping paper are hiding communication-technical aids in the value of approx.. 1,400 euro. Classes 1 and 2a can look forward to two new Apple iPads with plenty of space and rugged protective covers. The tablets are used for special exercises and the uncomplicated documentation of activities. This year, for the first time, we are giving the “talking wall” Interaktiva. 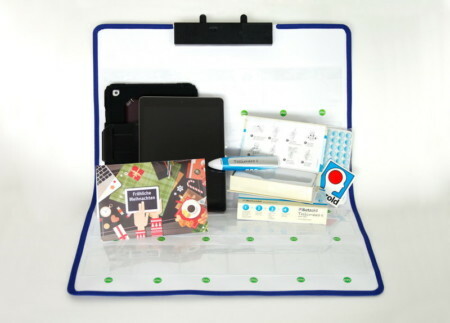 With filling pockets and a voice recording function, different tasks can be solved in a playful way. Also from the highly coveted “talking pens” this time two pieces are given away to the school. Not and little talking children can ask questions, answer them or have a say in games. Speaking children improve their pronunciation and expand their vocabulary. Managing Director Siegfried Reich and Julia Eder presented this year’s donations in kind on Thursday, December 20, as part of an Advent celebration with 7th grade pupils. The entire Salzburg Research team wishes you happy holidays and a peaceful year 2019! We also treat ourselves to a break: company holidays from 24.12.2018 to 4.1.2018.